Help, I can’t find any contact information! You are not alone; this is a very common occurrence. There are some simple, yet effective ways to greet an unknown employer contact in your cover letter. Many hiring managers consider these greetings used when addressing your cover letter outdated and overly formal. I must admit I’ve seen more than my fair share of communications directed to solely, “Dear Sir.” This makes me cringe every time not only because it’s outdated, but also gender-specific (and in my case, incorrect). 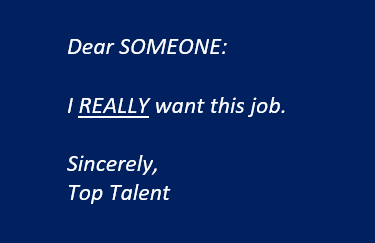 Research has found that employers prefer “Dear Hiring Manager” when candidates are addressing a cover letter and do not know who to contact. To be more formal, remove dear. You can also replace it with “Hello.” To be super-simplified and neutral, simply use the word “Greetings” alone. Depending on your style, finish up your salutation with a colon or comma, then start your cover letter text to impress! Addressing your cover letter can be made easier by filing on AgCareers.com. Did you know you can upload multiple cover letters and resumes to your AgCareers.com job seeker account? Set one up now, or login.